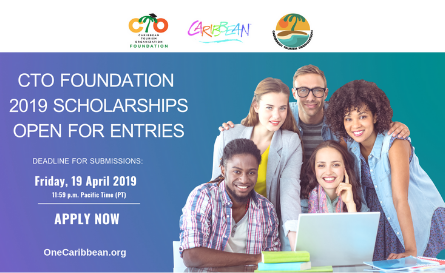 The Caribbean Tourism Organization (CTO) Scholarship Foundation is accepting applications for scholarships and study grants from Caribbean nationals in CTO member countries. The main aim of the CTO Foundation is to provide opportunities for Caribbean nationals to pursue studies in the areas of tourism, hospitality and language training. This award is given to the person voted as having written the best travel blog about the Caribbean or any CTO member country. Despite the ever-changing faces of media, travel writers and photographers remain critical to helping the region tell the Caribbean tourism industry story. 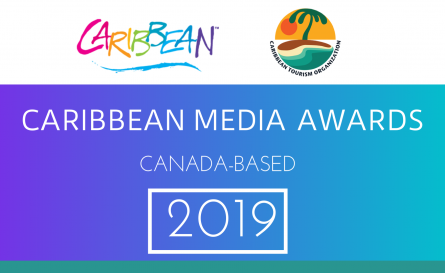 The Caribbean Media Awards celebrate the very best in Canadian travel journalism and reward the individuals, organisations and destinations that produce and present exceptional work. The Caribbean Tourism Organization UK & Europe is delighted to announce another edition of its eagerly anticipated Caribbean Summer Ball, on Thursday 27 June 2019 from 6:30pm – 1:00am, at the Luxury Five-Star Chelsea Harbour Hotel, London SW10 0XG. 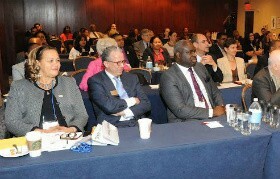 The Caribbean Conference on Sustainable Tourism Development is part of the information dissemination and regional awareness component of CTO’s Strategy for Sustainable Tourism. It looks at how member states can design and implement sustainable tourism policies and programmes, offering a regional forum for information exchange on the successes and pitfalls of national, regional and international initiatives. With a strong performance during the last four months of 2018, including a robust showing by countries impacted by the 2017 hurricanes, the evidence suggests that Caribbean tourism is on the upswing. The CTO held its annual media conference on Wednesday 13 February. Download the remarks and view the video of the conference. 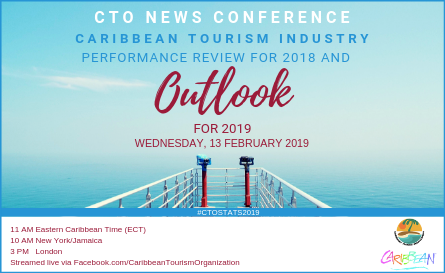 The Caribbean Tourism Organization (CTO), is the region’s tourism development agency, with 24 Dutch, English, Spanish and French country members and a myriad of private sector allied members. 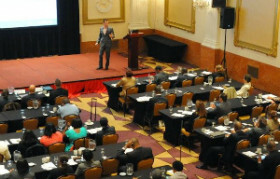 The CTO’s vision is to position the Caribbean as the most desirable, year round, warm weather destination. Its purpose is Leading Sustainable Tourism – One Sea, One Voice, One Caribbean. March 2019: Of 14 destinations reporting international arrival data for 2019 so far, growth was recorded in 12 and declines were recorded in two. Dec 2018 Quarterly Review: Tourist (stopover) arrivals to Caribbean destinations reached 29.9 million tourist visits in 2018. This is a decline of an estimated -2.3% when compared to 2017. Caribbean destinations received an estimated 30.6 million international tourist arrivals in 2017 or some 700 thousand more than the 29.9 million of 2016. Growth was hindered in the aftermath of two powerful hurricanes which passed through the region in September. Planning a vacation? Explore the beauty of the CTO’s 24 destination members. From delicious cuisine to astonishing natural landscapes to amazing flora and fauna; from hiking, strolling the beaches, rafting, sailing and diving – there’s lots to do and see in the Caribbean. Find your adventure! CTO provides this free online course in conjunction with the Travel Foundation. It is designed for decision makers and technical officers in Public Sector entities that administer tourism. Among other things, it examines what makes tourism both constructive and destructive to host communities. A.B Consulting, a human resources (HR) consulting agency based in Toronto, Canada. With over 15 years experience in the luxury hospitality sector, we specialize in providing HR advisory services for hospitality and tourism stakeholders in the Caribbean region to help improve performance and profitability. Allied membership is a high-value partnership that gives members a variety of benefits, including access to innovative research and tourism data, networking and knowledge-sharing events and a powerful array of services. Joining is easy and membership is valid for one year. You can influence the direction of the Caribbean tourism industry while taking advantage of a range of exclusive benefits, including brand promotion and special discounts on publications and conferences. The OneCaribbean Chapter Program (OCC) was created to support Travel Professionals by helping them grow through networking, education and business opportunities. Become a member today! Several regional and international schools and universities offer various scholarships, grants and free college courses. Information includes links to Chevening and OAS scholarships. The CTO collects donations through the CTO Relief Fund for relief efforts in any of our member countries affected by hurricanes and to assist other Caribbean countries affected by natural disasters. The CTO Relief Fund has “501(c)(3)” status, which means it has been approved by the USA Internal Revenue Service as a tax-exempt, charitable organization. You can make donations to the CTO Hurricane Relief Fund through Paypal Giving. To donate, go here: Donate with Paypal Giving Fund. CTO STORM WATCH CENTER – news and updates from our member countries affected by hurricanes. Caribbean Tourism Former CTO Secretary-General, Dr. Jean Holder tells the story of how, when, why and whence tourism, was introduced into the region and why its journey has been a turbulent one.